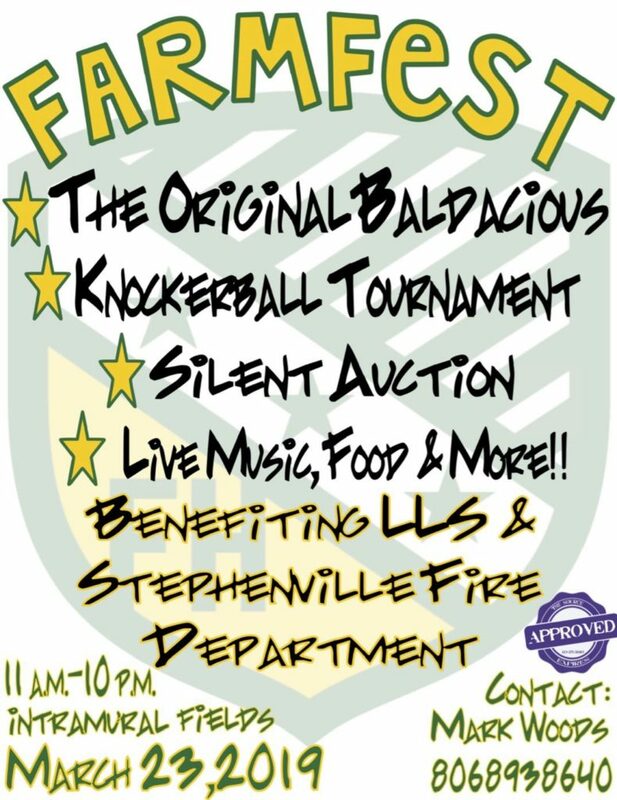 FarmHouse will host an all-day philanthropy event, FarmFest on March 23, that will feature a knockerball soccer tournament, live auction, live music, food and the “Baldacious” head shaving. FarmFest will be held at the intramural softball field from 11 a.m. to 10 p.m. 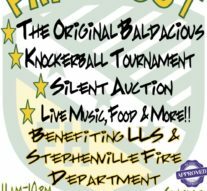 This event will support FarmHouse’s local philanthropy, the Stephenville Fire Department, and its national philanthropy, Leukemia and Lymphoma Society. Mark Woods, FarmHouse philanthropy chairman, explained that knockerball is like playing soccer but the people participating will be inside inflatable balls. To help draw more people, the group also plans to have live music from DJ Quan and a Texas country band. The live auction baskets will include a Cinch gift card, Hooey hats, Billy Bob’s concert passes and a round of golf at Harbor Lakes Country Club. Texas Country music artist Cody Johnson, also donated merchandise for a basket. This is the first year FarmHouse is holding FarmFest. The organization previously hosted Baldacious, a philanthropy event in which members signed up to shave their heads. A specific bounty was assigned to them and once that amount was met, they shaved their heads. If the members decided to match what was raised, then it cancels out and no one’s head is shaved. “I wanted to participate in our philanthropy event, Baldacious, because it allows me to help raise money for a worthy cause and everyone enjoys seeing a guy go from having long hair to no hair at all,” said Garrett Munchrath, the organization’s new member educator. Munchrath also mentioned that the price of each head is determined by hair length and what the philanthropy chairman decides. This event will be free and open to the public, but participation in the activities will cost money.